Welcome to your new East Village sanctuary, situated on the 14th floor of the sought after Evolution Fuse tower. 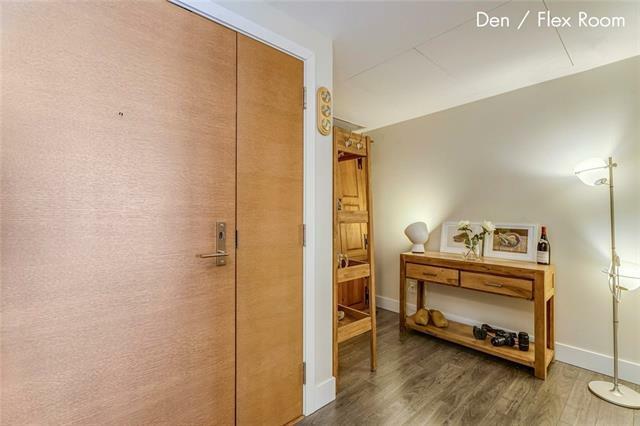 Immaculate corner, 2 bedroom 2 bath + Den condo. The cozy den, the perfect space for a home office, or yoga retreat. 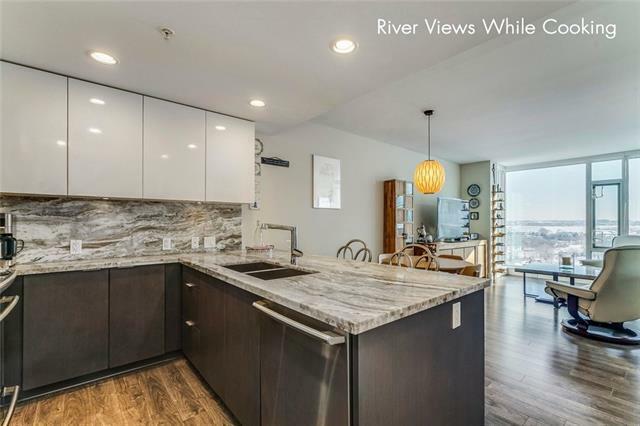 You will never tire of the stunning river views from every room or while enjoying your large, sunny patio. 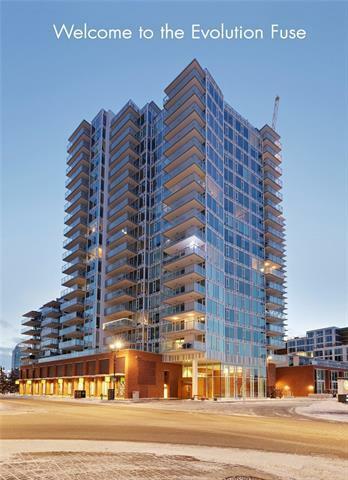 Unit is fully air conditioned for your comfort, with delightful heated bathroom floors. Amazing architecture with floor to ceiling glass in every room. The floor plan feels spacious and very bright. Included is one of the largest single underground parking stalls, with no one immediately beside you, conveniently located on P1, next to elevator. Work, live & play downtown! 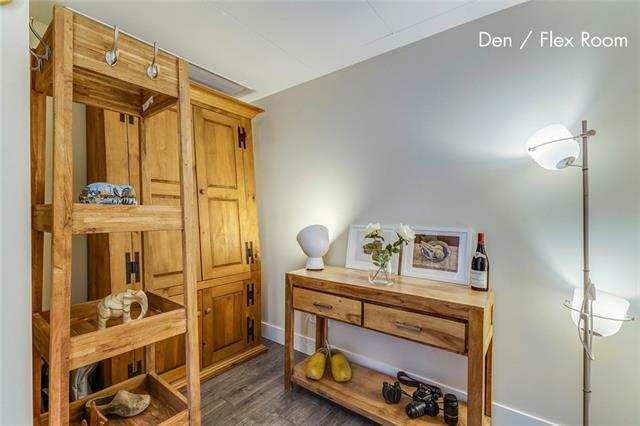 Everything you need just outside your door... New Calgary Library, LRT transit, river walk, Studio Bell national music center, numerous coffee shops, new exciting restaurants, Soon to be finished Loblaws City Market, all within walking distance. Fantastic value for your money in the East Village.